Construction Specifications Canada (CSC) has announced the launch of the fifth annual “Tapping the Future” student design contest. The theme for this year’s competition is hospitality. Sponsored by the association’s Toronto and Grand Valley Chapters, the contest involves taking a physical space and demonstrating how it could be theoretically reimagined, enabling students to showcase their skills with architecture, building materials, and construction documentation. The subject of this year’s competition is the historic Bell Telephone building in Kitchener, Ont. Owned by contest partner Voisin Capital, the building was constructed in 1923 for the Bell Telephone Company. After World War II, it served served as a branch of the Royal Canadian Legion until 2001. The designated heritage site is also a cultural icon in the blues community, with many artists performing in the space under the direction of local music icon Glenn Smith. 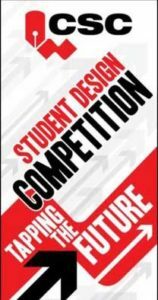 The CSC competition is open to current post-secondary school students in Ontario with an interest in architecture, engineering, interior design, construction management, innovative products, manufacturing, and related activities. Students can submit individually or in teams of up to four participants. The first, second, and third place winners will receive prizes of $2000, $1000, and $500, respectively. To assist contestants in navigating the building, Planitar—a technology company—has created a virtual site tour. Registration is open until April 25. For more details, click here. College and university educators interested in incorporating the competition into curriculum plans can contact Isabelle Champagne, the Toronto Chapter’s chair. To check out previous winners, click here and here.